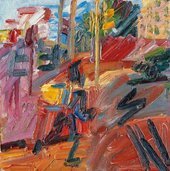 Painting 365 days a year, he has continued discarding what he does, scraping back the surface of the canvas to start and re-start the painting process daily, continuing afresh for months or years until the single painting is realised in a matter of hours, having finally surprised him, seeming true and robust. 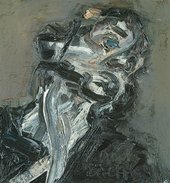 A unique exhibition on a unique artist. 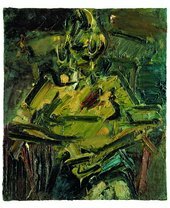 Auerbach has won his long tussle with paint and reality, again and again. 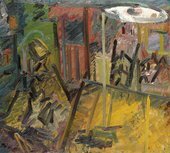 With this exhibition, he joins the masters. 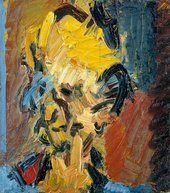 Film screening at Tate Britain, Thursday 10 December 2015 of Frank, a film about Frank Auerbach by his son Jack. 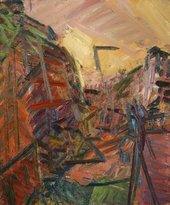 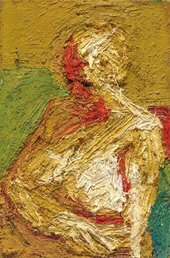 Tate Members event, Members Hours: See the Frank Auerbach exhibition at Tate Britain before it opens to the public.